The Canon imageRUNNER ADVANCE 6500 Series can be the frontline to your digital business communications, exhibiting enterprise-class performance. This black-and-white multifunction printer can be instrumental in meeting today's demand for integrated imaging, cloud, and mobile solutions. 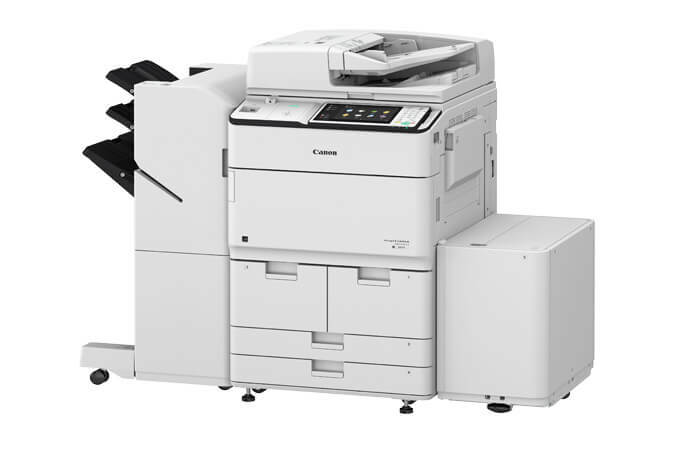 Built on Canon's Third Generation imageRUNNER ADVANCE core values,* the imageRUNNER ADVANCE 6500 Series operates on intelligent information management principles. The imageRUNNER ADVANCE 6565i multifunction printer is designed to meet your most diverse and complex printing and scanning challenges for maximized uptime, intuitive usability, advanced authentication capabilities, amazing speed, and large page volumes. *Canon's Third Generation imageRUNNER ADVANCE core values include Workflow Efficiency, Cost Management, Security, Device and Fleet Management, Quality and Reliability and Sustainability.